We are pleased to announce that Hull Minster has been awarded £3.9m by Highways England to complete the Minster’s remarkable transformation into a hub for the city’s history, heritage and community. The grant award comes from Highways England’s Designated Fund for Environment and Cultural Heritage, which is linked to major roads schemes and is intended to enhance the local environment and support cultural heritage. 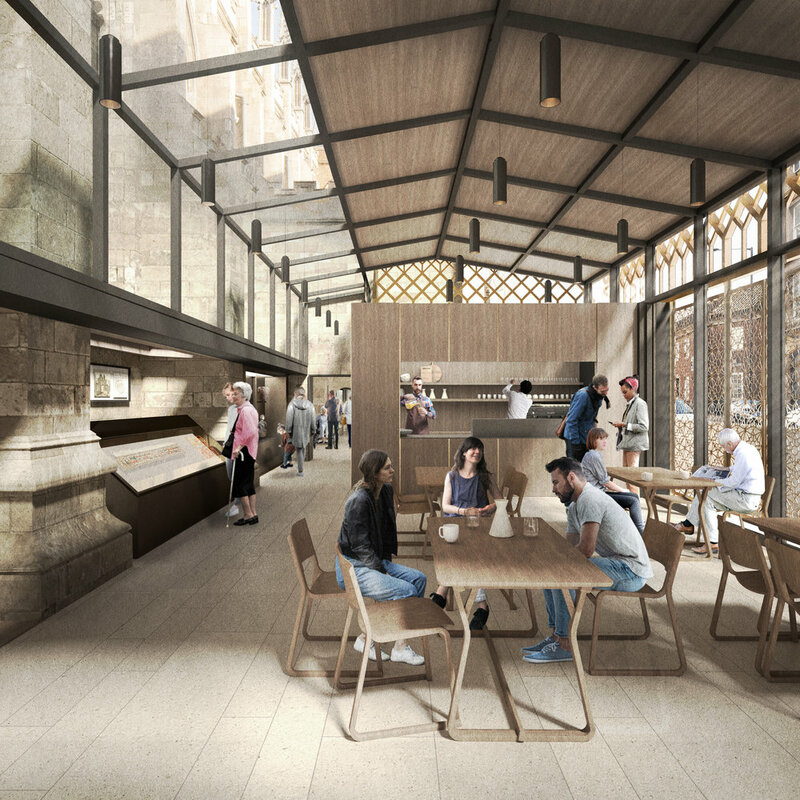 The work will not only safeguard the Minster’s precious heritage for future generations, it will also boost the drawing power for local people and tourists alike and position the church to achieve long-term financial sustainability. Archaeological excavations and investigations in the south west corner of the Minster, where the extension will be built. This dig is expected to reveal medieval remains and architecture associated with the first buildings on the site. Construction of a flexible visitor and heritage centre extension with exhibition spaces, a café and other new visitor facilities. New facilities to make the choir vestry a flexible education and learning centre for use by the Minster’s choir, school groups and community organisations. Exterior renovations to the fabric of the church, including cleaning and restoration of masonry on the grand west side of the church, facing onto Trinity Square. Internal repairs and redecoration to safeguard heritage monuments and features. Curation and display, to museum standards, of more than 100 complete remains unearthed from the redevelopment of Trinity Square in 2016, which are currently kept in the church’s crypt. Re-roofing the leaking vestry block, to halt deterioration of the internal heritage. Creation of a community garden on South Church Side. The garden will be maintained by volunteers from the Rooted in Hull community group and provide homegrown fruit and vegetables for the new café. Installation of a modern, 3 phased electrical supply system so the Minster can stage a wider range of events within the church and outside in Trinity Square. A secure, covered cycle store for use by staff, volunteers and visitors. New signage to communicated events and activities. The construction of new furniture to accommodate a variety of storage spaces. New visitor and heritage centre extension showing heritage displays and café. New visitor and heritage centre extension showing the flexibility of the space. It is thanks to the magnificent support of donors over the past 4 years that we have already completed so much of our essential work, enabling us to demonstrate to Highways England the financial support received from local, regional and national donors, and the manner in which our professional advisers have so successfully converted our dreams into reality. Without those achievements to date, and without their support, we would never have earned the opportunity to finish our task.